Perhaps one of the world’s most famous interiors. Most photographs of this room show the same angle so it’s hard to know if they’re the same photograph or many photographs of the same thing. 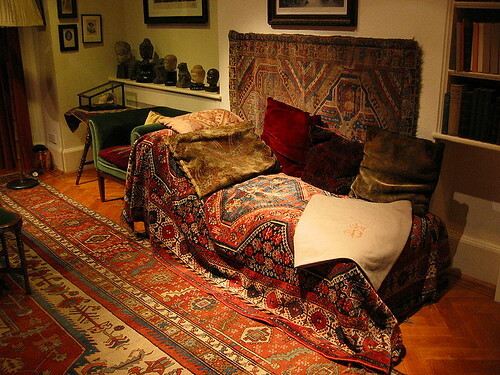 Freud’s interest in the relationship of classical mythology to psychology explains the antiquity-filled decor in his consulting room.